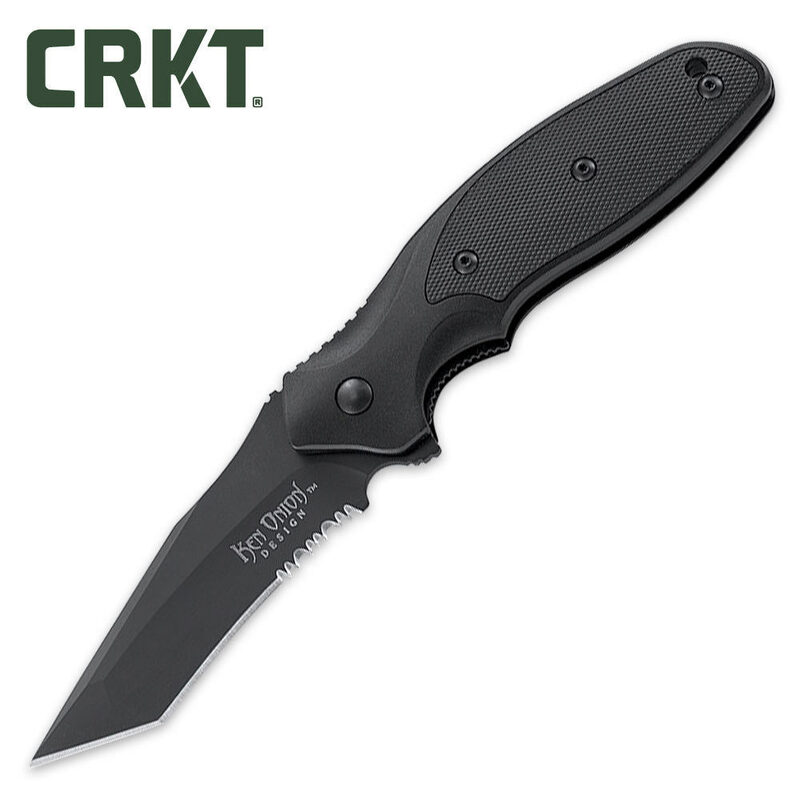 CRKT Ken Onion Shenanigan Tanto | BUDK.com - Knives & Swords At The Lowest Prices! Custom knifemaker Ken Onion uses his form and function design prowess in the Shenanigan T folder, especially in the blade profile. This tactical knife version of the original utility work horse Shenanigan features a tanto blade shape that is purposely pointed for piercing, while having a high hollow grind ideal for a razor thin cutting edge. Blade actuation is quick and efficient with the use of the blade flipper. All blades are premium AUS 8 steel, black titanium nitride coated for heavy tactical use, non-glare, and corrosion resistant. The Shenanigan T handle shape provides confident grip through nicely profiled palm swell, overall dimensional balance and a swept finger groove. A cold forged aluminum handle features texture checkering for non-aggressive, effective tactical grip. This locking-liner folder design offers all of the tactical tool qualities you need-without drawing unwanted attention with its clean, sleek look. Open Overall Length 8.25 inches. Edge Combo w/Triple Point Serrations. Carry System 1 Position Clip.